A. 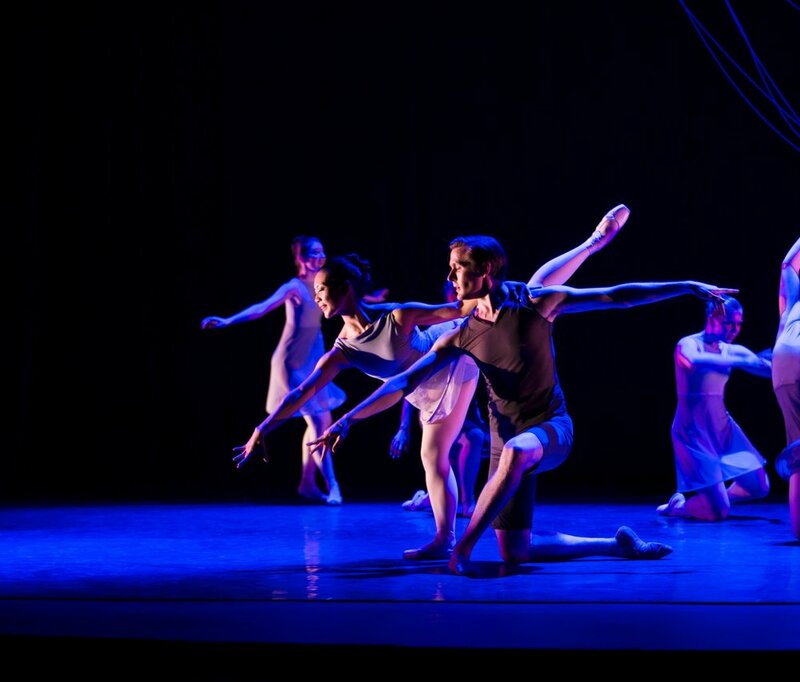 Shades of Refrain is an abstract ballet portraying the many aspects of the book of Psalms. The flowing score is intrinsically tied to the movement as the dancers represent a variety of emotions, using classical lines in this uplifting and worshipful ballet. Q. Describe your role in this ballet. A. Since Shades of Refrain is an abstract work, my role is harder to define than other characters I play in the Compass bill. Throughout the ballet I am part of the ensemble with moments when I partner the soloists in the ballet. Overall my role is cheerful, with the exception of a melancholy section in the middle of the ballet. A. I would describe the movement as neo-romantic, by that I mean that it is clearly structured from classical ballet but emotion is the focus rather than pure virtuosity. I have found the musicality and movement dynamic natural for me, as I enjoy the music and find the choreography fits into it effortlessly. The challenging part has been finding how to clearly show the full spectrum of emotions, as written in Psalms, through dance. A. As I have mentioned, the music of Shades of Refrain is a highlight for me. In addition to that I enjoy the camaraderie that we have as a company while dancing this piece. A. In this ballet you can see dancers of Ballet 5:8 work seamlessly together throughout unison, cannon and solo sections to bring this encouraging representation of Psalms to the stage.